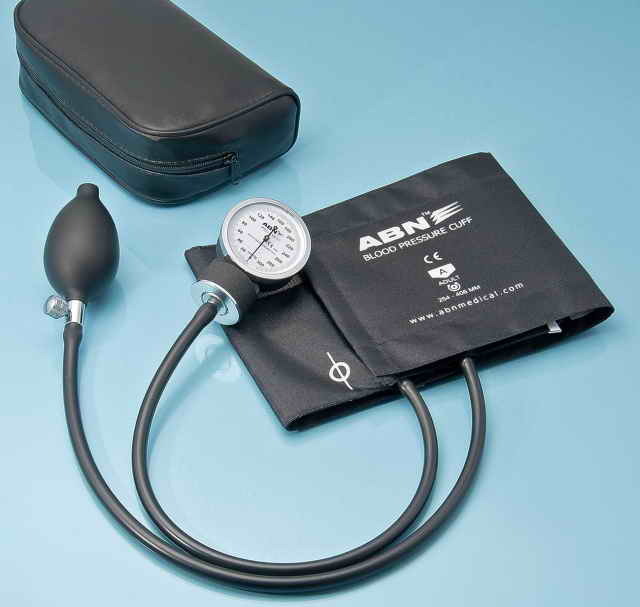 ABN Group - Products - Diagnostic & Healthcare - Sphygmomanometer & Parts - For Nurse & Hospital - Dr. Indra K. Muhtadi - "dokter plus"
The aneroid set is available in five sizes calibrated inflation system in black color nylon. Packed into black vinyl zipper case. 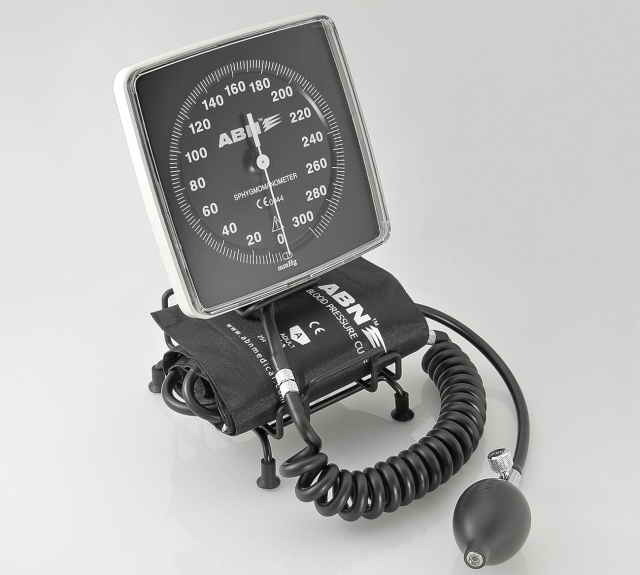 The alternative aneroid set with adjustable manometer, which has the same features as ABN™ Precision but you can easily set the gauge to zero if needed. Mini screwdriver included, just simply inserts it into the stem of the gauge and turns the screwdriver until the needle returns to zero. 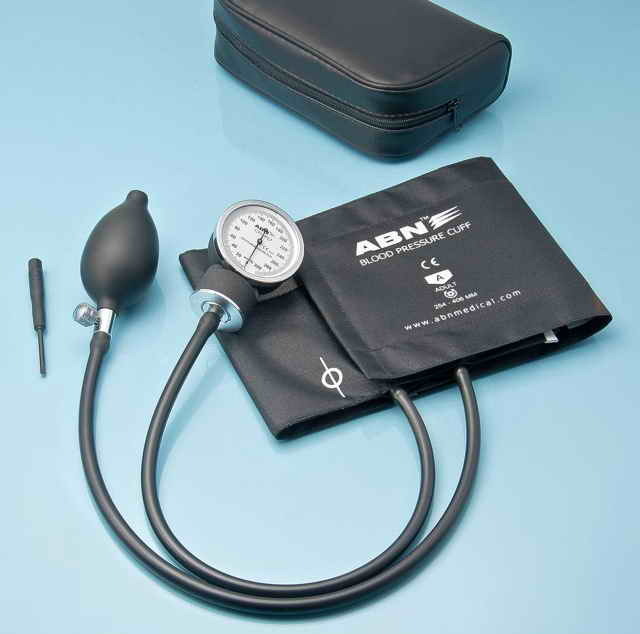 Provided with 300 mmHg black manometer. Comes along with Dual Head Lightweight Stethoscope in color coordinated. 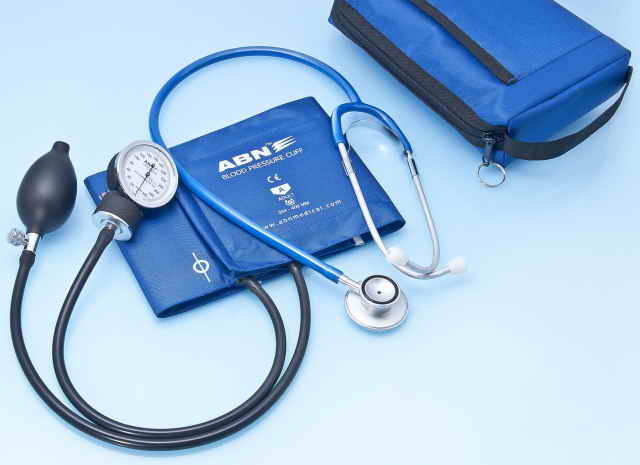 The new innovation aneroid sphygmomanometer is designed for any condition that needs various sizes of cuff. Precision crafted 300 mmHg of manometer palm style gauge with enhanced shock resistance of movement housing and expeditious control trigger release air valve. Three interchangeable calibrated nylon cuffs (Child, Adult and Large Adult). Comes with heavy duty 1 tube latex inflation bladders. Complete with quick release luer slip connector. 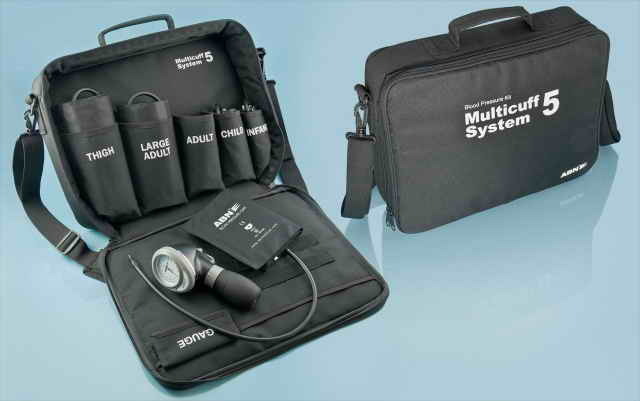 Specially packed in a multi-pocket nylon case to hold the manometer and cuffs securely. 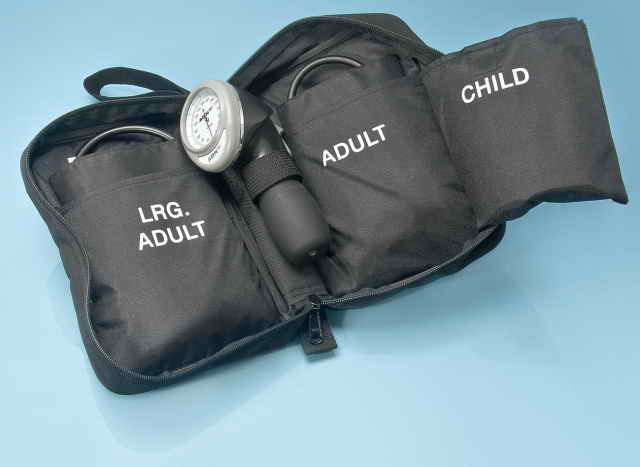 A compact aneroid sphygmomanometer designed for emergency purposes which provided in five sizes of cuff (Infant, Child, Adult, Large Adult and Thigh). Comes heavy duty 1 tube latex inflation bladders. Securely packed into a nice design multi-pocketed nylon case. Available in Latex-Free series to prevent skin irritation for those who’s sensitive against latex. Featuring large face 6", 300 mmHg no pin stop mechanism of manometer gauge. The large dial plate for easy reading supported with the attractive strong base design, make this model grows to be the favourite for hospitals or clinics. Designed as the desk model to get the flexibility of placement in all operations. Comes with complete inflation system of the superior quality black nylon cuff with heavy duty latex inflation bladder, and they can all be placed nicely into a fine art storage compartment. The 4 Ft extendable latex coiled tubing is included with the deluxe metal connector. Featuring a two pieces stand column for easy height adjustment and strong base design with five caster wheels ensures the easy movement and stability. The mobile unit is integral with cuff storage basket. Large face 6", 300 mmHg no pin stop mechanism of manometer gauge. All the necessary hardware and 8 ft extendable latex coiled tubing are included. 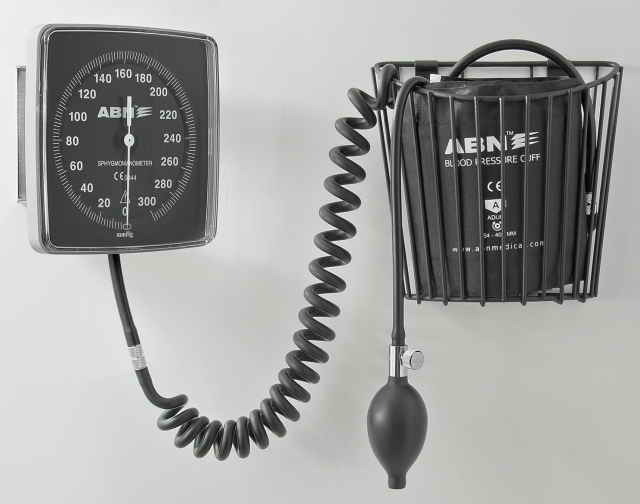 An alternative presentation of clock aneroid sphygmomanometer to be attached to 180° swivel wall mounting bracket. The large dial plate with white scale for easy reading is applicable for the hospital or clinics. Complete with inflation system and 8 ft extendable latex coiled tubing.